bebopified: Rilke meets Tennessee Williams in George Maurer's "Autumn Song"
Rilke meets Tennessee Williams in George Maurer's "Autumn Song"
On Monday, July 23, German poet Rainer Maria Rilke (1875-1926) and American playwright Tennessee Williams (1911-1983) will meet on stage at St. Joan of Arc Church in Minneapolis. They’ll talk about poetry and love, desire and the questions we all ask as we go through life. We in the audience will witness their conversation, born in the imaginations of composer/pianist George Maurer and theater director Jef Hall-Flavin, sung and acted by Dieter Bierbrauer and Jared Oxborough. I spoke with Maurer by phone earlier this week. PLE: When did you first get interested in Rilke, and why? George Maurer: When I was 18 and a college freshman, starting to ask those big questions: What am I doing here? What am I supposed to do? Who am I supposed to be? I was going for my degree in music composition at St. John’s University in Collegeville. My German professor handed me a copy of “Letters to a Young Poet.” I’ve been noticing Rilke ever since. 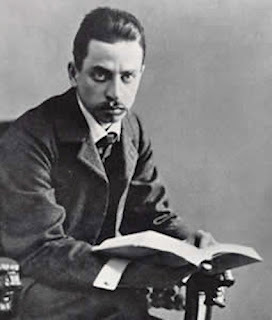 Why does Rilke remain important to you? In 2003, right after the ending of a 10-year relationship, I picked Rilke back up with some earnestness. Again, I was looking for answers. I was also looking to do the intuitive artist’s thing and create something out of chaos. Rilke seemed to be the sealant that held all of that together. It made sense. I was going to have the same monk professor who gave me the “Letters” book – Mark Thamert, OSB – read a particular Rilke poem I liked. I planned to record it, then try and create some piano stuff underneath it, to accompany it. In the course of reading the poem I wanted him to read, he asked, “Have you heard this other poem?” He was referring to Rilke’s “Liebes-Lied” – “Love Song.” It had this beautiful imagery about the spheres of a relationship. “How can I do my work without thinking of you too much?” That sort of thing. “How do I love you without possessing you? How can you leave me alone so I can get my work done?” The great image is – we’re like two strings on a fiddle. Two notes being drawn by one bow. “What fiddler holds us in his hands?” Rilke loved the unanswered questions. A lot his poems – the ones I’ve set to music – include unanswered questions. What happened next was I started working on “Stations of the Heart,” a song cycle commissioned by Nautilus Music-Theater that I wrote with librettist Jim Payne. I was setting rhyming, metered verses to the AABA song form when I started to wonder, “Maybe there’s a way to manipulate translations of Rilke to fit this form.” I found Stephen Mitchell’s translations, and the Anita Barrows and Joanna Macy translations, and started thinking, “Let me see if I can manipulate Rilke into the AABA form.” That’s where the song “Autumn Day” came from. It fit into a nice gospel music package. I recorded it in 2003, it became a favorite, and it emboldened me to do more. I started researching Rilke, reading biographies, and discovering more about what he was about and what was important to him. I began picking certain poems to set to music. Over the years, I have finished 13. I made a pilgrimage to Prague [Rilke’s birthplace] in 2006 and wrote “The Panther” there, in a little beatnik backpacker’s teashop in the heart of old Prague. Later, when I went back, I found a painting of a panther on the wall over the spot where I had written the song. [That seemed like] a sign. I was gradually going over more complicated stuff by Rilke. Around 2007 I started giving concerts of this music, performing it live in church settings and the Dakota. Where does Tennessee Williams enter in? [Director] Jef Hall-Flavin is a big fan of the George Maurer Group. He’s also the executive director for the annual Tennessee Williams Theater Festival in Provincetown. He’s the one who told me that Williams loved Rilke. Tennessee discovered Rilke, along with other poets, when he went to Washington University in the 1930s. He felt that Rilke especially spoke to him when he lived in Provincetown in the summer of 1940 and several summers after that. Rilke’s themes found their way into some of his one-act plays. He used the first “Duino Elegy” as a framework for one of his plays, about two lovers being torn apart. 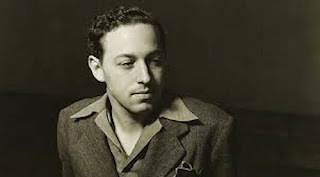 There’s enough of a connection that Rilke can be considered a strong influence on Tennessee Williams. Last year I learned that the theme of the 2012 Tennessee Williams Festival would be “Tennessee Williams and Music.” This set the stage for Jef and I to develop a conversation between Tennessee and Rilke, through their poetry. They sing to each other through the poetry. I’ve also set two Tennessee Williams poems to music. One is “Across the Space Between a Bed and a Chair.” The other is “Request,” the poem he wrote to the only woman he was ever in a relationship with. We split up some of Rilke’s poetry so some of the lines are sung by Tennessee. He asks the questions Rilke asks in his poems. It works great. I’ve always said the music serves to illuminate the poetry and has never gotten in the way. Yet I’ve been able to work improv sections into some of these songs. The music is totally original, melding together the jazz influences, the music theater influences, and the orchestrations I’ve been doing for other projects. 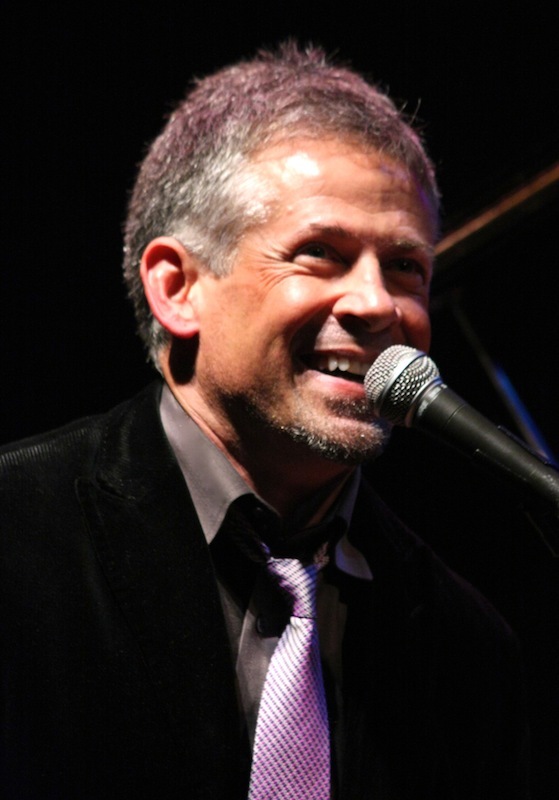 The melodies are a blend of jazz, gospel, and art song. And we’ve added visuals. Chuck Norwood, someone I’ve worked with for many years at the Paramount Theater in St. Cloud, designed the lighting. The stage is a thrust stage, with the audience on three sides and the musicians off to one side, in black, not highlighted. The focus is on two platforms in the center – one is Rilke’s, the other Tennessee’s – and the interaction between them. You don't just read a poem once and get it right away. It's something you have to reflect on, ponder, and linger over. We're asking people to listen, experience phrases and textures, and not try and grasp everything too fast. Whether they grasp it or not, they'll feel it. It's rare to match poetry to music in this way. Just to be clear, Rilke and Tennessee Williams never actually met in real life. “Autumn Song” is their first opportunity to meet each other. • 7:30 p.m. Monday, July 23, 2012, St. Joan of Arc Church, Minneapolis, MN. Tickets here. • 7:30 p.m. Friday, Sept. 21, 2012, Town Hall, Provincetown, MA. Tickets here. • 2 p.m. Saturday, Sept. 22, Town Hall, Provincetown, MA. Tickets here. • 8 p.m. Saturday, Sept. 22, Town Hall, Provincetown, MA. Tickets here.